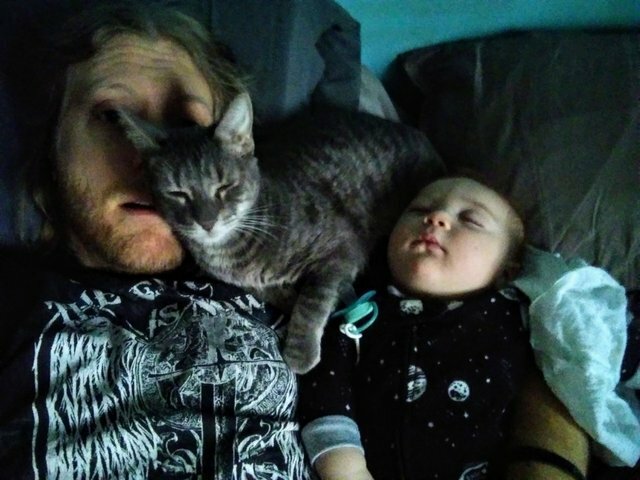 Cats, babies, and dipshits 3/9/19; Zeus and our morning cuddles. That's right folks once again it is our favorite day of the week, Caturday! YAY! Zeus decided to make himself comfortable in bed this morning. 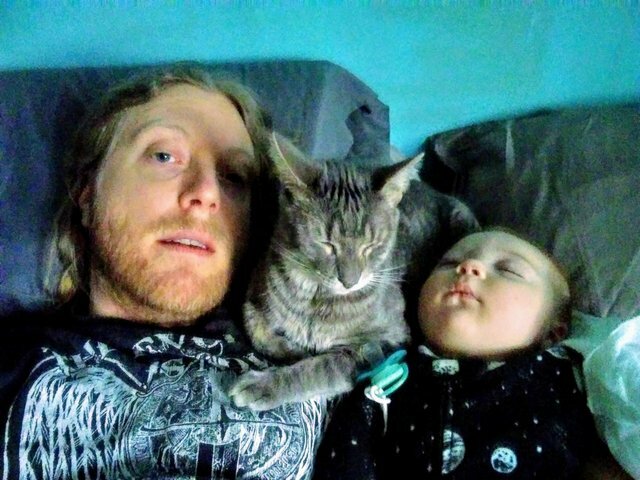 He managed to plop right down between the baby and I without waking him up. 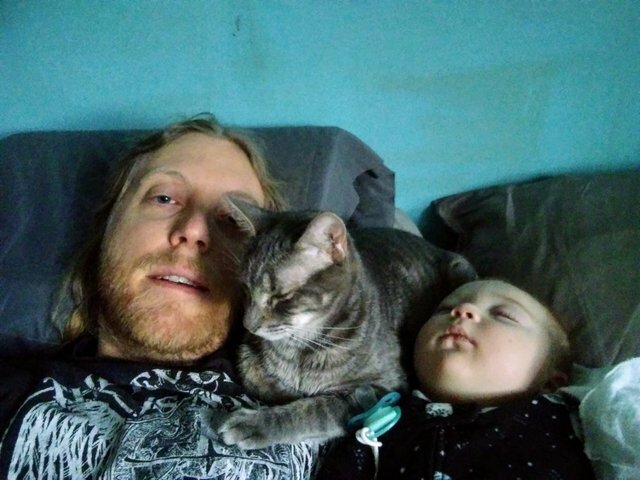 Maverick did eventually wake up but not before I was able to take all these cute pictures of the three of us in this cute cuddle puddle. I hope all you #catsofsteemit fans have a happy Caturday!!! 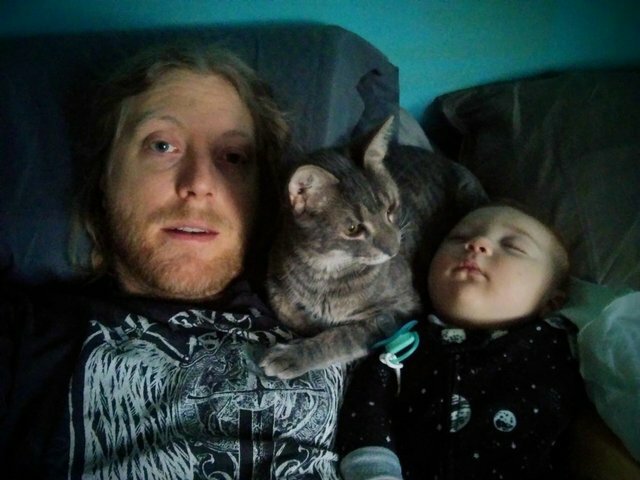 Cats can be some of the best babysitters on the planet. 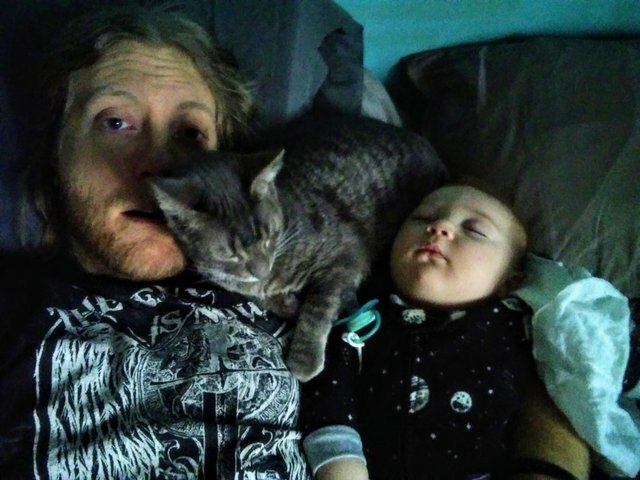 Our cat Orange pretty much took care of our grandson when he'd stay with us as a toddler. Dude.. get out of the picture.. you're killing the cute factor..